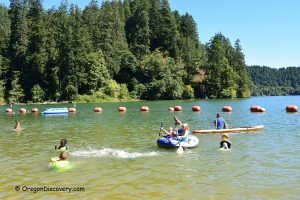 Named after aquatic birds found in its waters, Loon Lake is an immensely popular recreational site not far from the town of Reedsport, Oregon. Surrounded by Douglas Fir, Red Cedar, and Western Hemlock, Loon Lake has the distinction of being among the finest campsites along the coast. Formed about 1,400 years ago by a massive landslide, the lake covers 260 acres is 150' deep. This is an excellent fishing spot. You can catch rainbow trout, largemouth bass, bluegill, and catfish. Whether you prefer an RV, a log cabin, a tent or perhaps even a houseboat, you will experience utmost comfort at the lodge, regardless of how much time you decide to spend. You can get horseshoes, beach balls, volleyballs and other equipment in exchange for a driver's license. 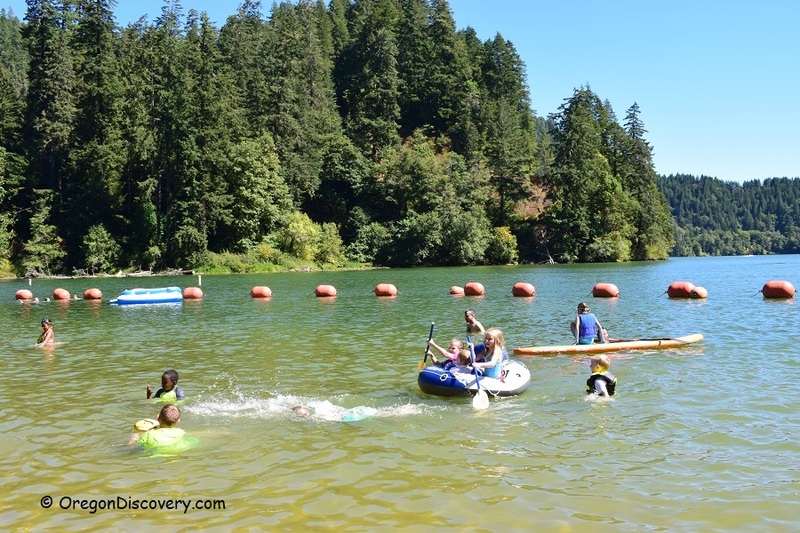 Additionally, Loon Lake also boasts of myriad water sports for the adventure loving visitor including rowboats, pontoon boats, fishing boats, wave-runners, paddle boards, kayaks, canoes and even jet skis! The lake has been used as a recreation site from 1962 and it became the best summer destinations for many generations. If you are fatigued just reading about all these activities, then the warm sandy beach beckons. Irrespective of whether you decide to go for a lazy swim or just soak up in the sun on a beach towel the tranquil waters await you. No matter what your ideal summer getaway, Loon Lake could be your ideal destination. 139 miles southwest of Salem. Turn south onto County Road 3 and travel seven miles to Loon Lake Recreation Site.